New research has found that most Americans prefer natural dietary supplements over synthetic and think synthetic supplements should be labelled as such. When choosing dietary supplements, it is always advisable to ensure that, wherever possible, their active ingredients are of natural origin. In addition, to facilitate faster absorption and optimize the bioavailability of micronutrients, the minerals and trace elements in the formulas you choose should be organically bonded with the amino acids glycine or methionine. This suppresses antagonistic effects between individual micronutrients. Another important aspect to consider concerns the use of additives in supplements. 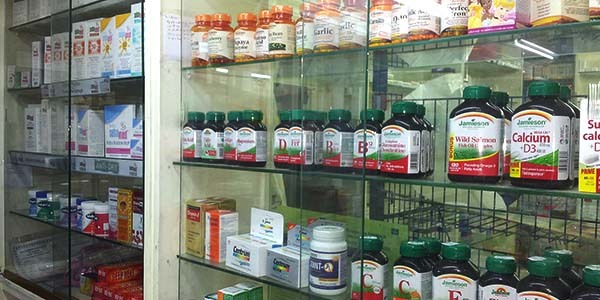 Additives are necessary in order to manufacture tablets and capsules. They include, for example, the fillers which hold the tablets together and protect the micronutrients contained in them. The materials used for coating tablets are also classified as additives. These materials are used to protect the tablets and ensure they last longer. Unfortunately, however, when selecting and using such additives, most manufacturers choose the cheapest ones available, which are generally of synthetic origin. You should therefore ensure that the manufacturers you buy from aim at using additives of natural origin in their products. An especially important factor to look at when choosing supplements concerns whether the manufacturer has carried out any scientific studies using the specific combinations of micronutrients contained in them. Here, you might be surprised to learn that hardly any supplement companies maintain their own research institutes to examine the effectiveness of their formulas. This means that, for the majority of supplement manufacturers, there is no proven scientific basis supporting the use of their products. To read about eye-opening scientific studies carried out at the Dr. Rath Research Institute which compared certain widely-used micronutrient products with others that have been developed and tested on the basis of proper scientific research, see the ‘Vitamins: Harm or Benefit’ feature on our website.